Opera had earlier experimented with some really different for browsers with its Opera Neon. The company is now bringing the same Opera Neon features or changes to its Main Opera Browser. The update has been renamed as “Reborn” and comes with some new changes to the main browser. With the new update Opera now allows users to chat on services like Facebook Messenger, WhatsApp and even Telegram without having to go to the web apps. The company has instilled the applications on an integrated sidebar into the browser where users can chat on WhatsApp, Messenger, and Telegram without needing to go to the apps on the browser. The Sidebar can be pinned and will work side by side with whatever website you are browsing. The company with “Reborn” is also bringing a dark theme to its browser like Microsoft Edge browser in Windows 10. The company has also provided new backgrounds along with changes to the UI of the Browser like making changes to some of the icons and include some smooth animations. There are also some new security and performance features also included which notify users when they are typing in a password or a credit card number into a page that doesn’t use HTTPS. 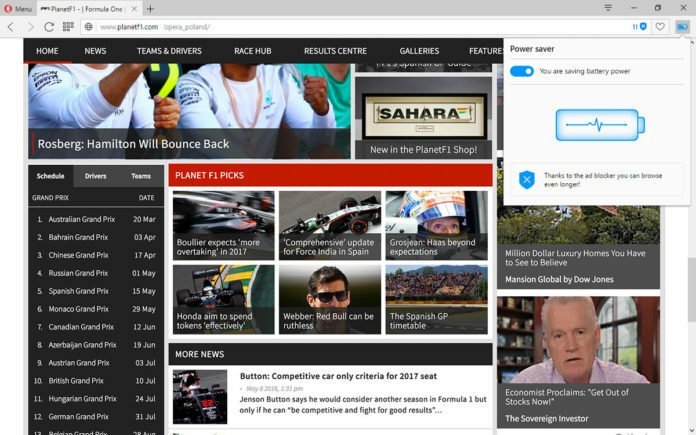 To decode videos on Windows the browser now utilises the GPU which significantly reduces battery usage and provides higher resolutions. The latest update to the Opera browser is currently live and users can get it by clicking the below download link.